When engineering and computing students are ready to find an internship, co-op or job, the Career Center is ready to help. From resume preparation to helping students with interview skills, Career Center staff offers a wide range of resources to our students. The College of Engineering and Computing has the great advantage of a Career Center located within the college in order to better serve students. The USC Career Center conveniently provides a satellite location in the Swearingen Engineering Center, Suite 1A03. Staff in the CEC Career Center offer customized, discipline-oriented career development counseling specific to engineering and computing students in both one-on-one and group settings. Through the office, you have access to job opportunities, internships and co-ops, career exploration resources and unique conferences regarding the fields of science, technology, engineering and math. Handshake is the USC Career Center's online integrated job search resource center that allows all USC students and alumni to search job postings, view and apply for on-campus interviews (interviews with employers held on campus), and access both employer and Career Center events. "At R.E. 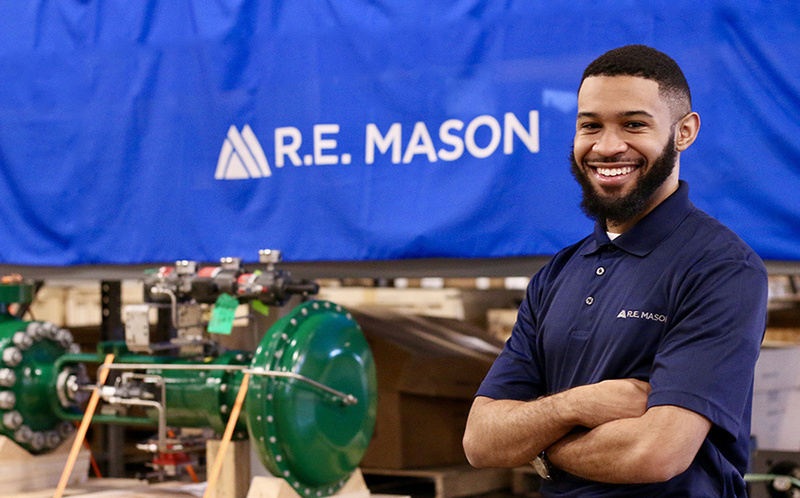 Mason I perform sizing for valves in various processes and applications. I also assist with providing quotes and receiving orders for a variety of accessories. These products are utilized in many of the processes that produce everyday goods throughout the Carolinas and Virginia." Stop by the Career Center in the College of Engineering & Computing (1A03) during our drop-in hours Tuesday-Thursday from 1-4pm!